All Your Healthcare Needs Under One Roof. 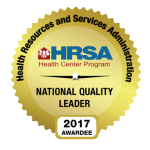 Northwest Community Health Center (NWCHC) strives to be known as innovative leaders in providing quality healthcare services. Anyone can access care at NWCHC regardless of insurance status or an individual’s ability to pay. We are a preferred provider for most local insurance carriers and offer a sliding fee scale to eligible patients. NWCHC’s team is here to serve providing medical, dental, behavioral health and pharmacy services. In addition, we have staff that provide case management and WIC Supplemental Nutrition services. If you are a patient of NWCHC and have a clinical question after hours please call us at 1-855-313-0069.